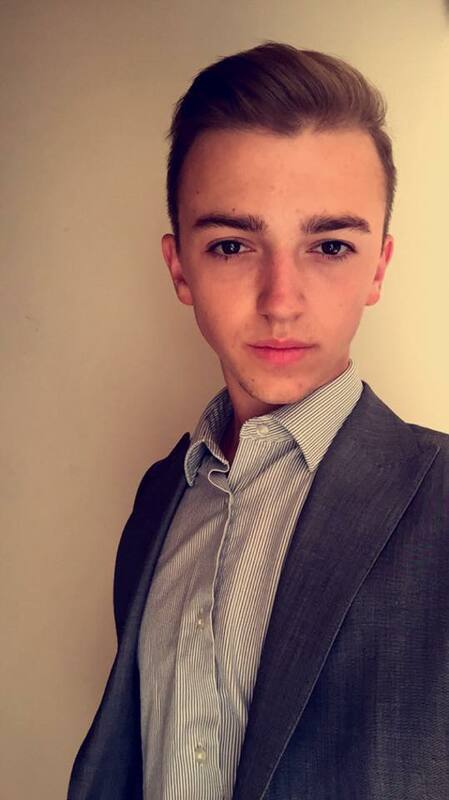 Matt is 18 and he is a trainee accountant for Wilkins Kennedy FKC in Ashford. He has loved art ever since he was in primary school so it was a no brainer that it was part of his GCSE and A Level studies. Across his A level studies he looked into two themes, uncontrolled snapshots of time and politics behind art. Although inspired in his first year by the likes of Piranesi for his detailed etchings and thinking to himself: ‘I’m an illustrator because I just love to draw’, he now considers himself a realistic painter after fully establishing his ability in Sixth Form. Matt’s favourite medium is watercolour and he likes to use it loosely and wash colours but also very finely to create the perfect picture. A lot of his work in the second year conveyed a political message of destruction to our natural world and he thinks that comes across in most of work as he loves nothing more than painting landscapes and scenery with varieties of colours and situations. His favourite piece to date is my second year final exam piece in which he painted using gouache and watercolour on to a section of wood covered newspaper. The newspaper combined with an acetane screen conveyed a message of beauty being hidden behind destruction. Although Matt’s life is now in the finance sector, art will always remain a passion of his and he’ll continue to paint and draw.